Disney has announced a slew of updates to its movie release calendar, though all of the films are untitled and thus, remain a mystery. The untitled, live-action Disney fairy tale film previously dated for Dec. 22, 2017 has moved up to July 28, 2017, where it will square off against Sony’s “Jumanji” reboot. That leaves “The Croods 2,” “The Six Billion Dollar Man” and an untitled PG-13 comedy from Warner Bros. as the only films slated to open on Dec. 22, 2017. Elsewhere, there is now an untitled, live-action Disney fairy tale slated for release on April 6, 2018 (an animated film from Focus/Laika will open on April 4, 2018), as well as untitled live-action Disney movies scheduled for Aug. 3, 2018 (no current competition) and Dec. 25, 2018, which is four days after Sony opens an animated Spider-Man movie. Additionally, there is another untitled, live-action Disney fairy tale film set for Dec. 20, 2019. The unknown film currently has that plum release date all to itself. Disney’s upcoming live-action slate includes the fairy tale films “Alice Through the Looking Glass” (5/27/16) and “Beauty and the Beast” (3/17/17), as well as this summer’s “Pete’s Dragon” (8/12/16). First Snow White gets lured into the woods by a huntsman who wants to kill her, but he shows mercy. However, the scary moments aren't over as she walks through the terrifying forest, which becomes hostile towards her. Obviously, the whole Evil Queen thing is incredibly dark and sinister as well, as she tries to poison Snow White out of jealousy. Well, Pinocchio's punishment for being a bad boy is to be turned partially into a donkey, or a literal jackass. Also, his father got swallowed by a gigantic whale so Pinocchio goes to rescue him and also dives into Monstro's mouth. "Fantasia" sets itself apart from all other Disney movies as it mashes together animation and famous classical music. However, at one point, a demon named Chernabog sits on top of a mountain and sends ghosts and unearthly creatures to the village below. Horrifying. We all know this tear-jerker scene, in which Bambi goes on a stroll with his mother when she senses a hunter nearby. Her instincts prove correct, and soon shots ring out, killing the mother and leaving Bambi to call out for his mom. Many theorists have claimed that Alice's journey to Wonderland actually represents a trip on acid, and many have theorized that the movie is about drugs. Whatever the truth is, all the characters she meets are downright dark and scary, especially the Queen of Hearts. Two orphans who have psychic/telekinetic powers get chased by a millionaire, forcing them to go to Witch Mountain to find their "true" family. Scary stuff for young or sensitive kids. There's even a flashback in which someone drowns. This film was actually criticized for being too dark and terrifying for children. The fantasy film has Dorothy getting electroshock therapy at the beginning, and the characters of the mental institution present themselves in the World of Oz. All in all, Dorothy explores some scary places. This movie became the first Disney animated film to receive a PG rating. An evil Horned King seeks to obtain a magical Black Cauldron in the hope to enslave the rest of the world -- the King himself is a figure with a skeletal body, glowing red eyes and a terrifying voice. 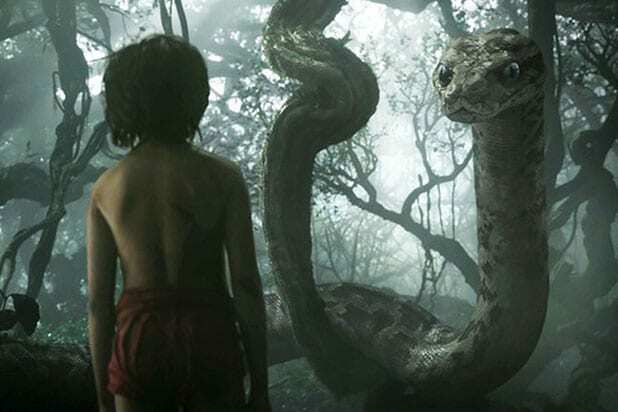 This first attempt to bring a live action Mowgli to the screen featured Cary Elwes getting devoured by a giant python. One of the most famous moments in Disney history is when Scar kills Mufasa while Simba is watching. The most heartbreaking moment, however, is when Simba gets to Mufasa's lifeless body and starts tugging at his fur, only to start crying and cuddling up against the corpse of his dead father. Lots and lots of dark moments here: From a deformed boy being locked up in a cathedral, to being ridiculed in public, to the way gypsies are portrayed in the film, "The Hunchback" is one of Disney's darker offerings. And Frollo's thoughts about Esmeralda evoke Catholic guilt and he decides he would rather burn down Paris than let anyone else have her. Filled with ancient monsters and the God of the Underworld, "Hercules" is another dark movie as the female lead, Meg, literally sells her soul to Hades and spends the rest of her life hating the concept of love. Yes, "Finding Nemo" is on the list. At the start of the movie, an entire clown fish population is devoured by a vicious barracuda. During Marlin's quest to find his son, Nemo (after he goes missing during a school day), he encounters dangerous-looking sea creatures and swims through shipwrecks and minefields.